The staff at Eagle Creek is a tribe of travelers with a common goal: to help travelers arrive at their destination well equipped to enjoy the adventure. Eagle Creek offers an assortment of everyday bags, travel systems, luggage and more to help you reach your destination well organized and prepared for all of the adventures that await you. The Sublime Media Connection had the chance to try out the Pack It World Traveler System. 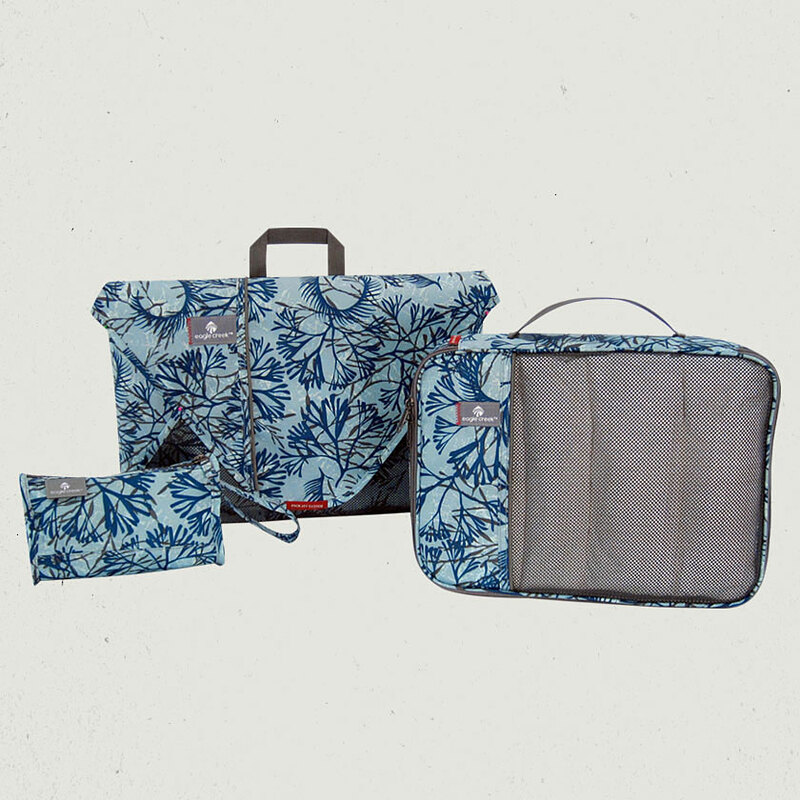 This is great 3 piece set will change the way you pack for a trip. 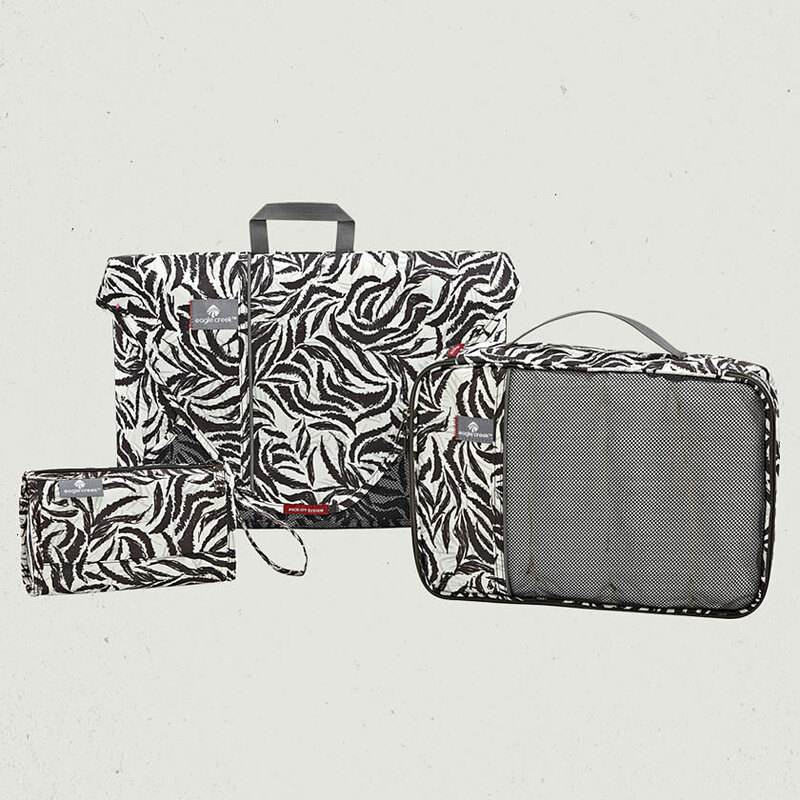 Find out what the members think of this luggage organization set and enter to win the Pack It World Traveler System. Brittany of SAHM&TW has been rescued from 6 am ironing emergency calls. Find out more by reading her review here. Liberty of Naturally Frugalicious had the chance to use the Pack It World Traveler System on a romantic getaway. Find out more by reading her review here. Cassandra of So Cal Coupn Mommy loves to travel. Find out what she thinks of this travel system by reading her review here. Christine of Saved By Grace considers herself to be the Packing Queen. How does the Eagle Creek Pack It World Traveler System stand up to her expertise? Read her review here to find out. Sometimes the thrill of travel comes with the headache of a messy, bulky suitcase for Sweet Silly Sara. Find out what she thinks of this travel set by reading her review here. Kristin of Its Free At Last has already put her Pack It World Traveler System to extensive use. Read her review here to find out how well it works for her frequent trips. Natalie from News Wahl is preparing for a trip abroad, find out if she will use the Pack It World Traveler System on this adventure by reading her review here. This giveaway begins on 10/4 and ends on 10/18/2012. Open to US residents. This giveaway was brought to you by the Sublime Media Connection. The participating bloggers cannot be held responsible for the shipment of this prize.